One of the most exciting things about starting a new year is having new devices in the technology world. Nowadays phones are such a big part of our lives, most of the people are continually navigating through them and connecting with other people around the world. If you’re part of Samsung clan, you don’t want to miss this post with all the information you need to know about their new toy. The company has revealed its latest smartphone, and it’s incredible! This device could be the best Android for the year to come, and we’ll show you all the new features behind it. Believe or not, the S9 has plenty of upgrades compare it to its previous version, the S8. The most important thing, when you can have it? The Galaxy S9 will be released the next Friday, 16 March. You’ll have to choose between the S9 and its sibling the S9+ and three different colors. Regarding the design, the Korean company didn’t go too different from their predecessor, the Galaxy S8. The new device got the same Super AMOLED display, resolution, and size. Instead, the Galaxy S9+ is a bit bigger, measuring 6.2 inches. When you do a closer inspection between the S8 and S9, you may notice some subtle differences. One of them is that the fingerprint has been repositioned to be handier. On the other hand, if you choose the S9+, you can count on a dual-lens camera for the first time. 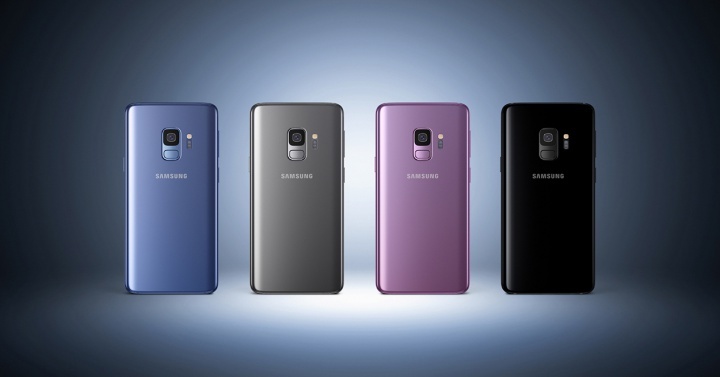 As we were mentioned before, the phone will come in three different shades: Midnight Black, Lilac Purple, and Coral Blue. While more colors could follow the next launch, the device looks stunning in every shade. Without any doubt, the best new feature is the camera. The Samsung S9 features an improved camera with several innovations that could make it the top phone on the market. With the S9+ you can count with dual aperture lens, which means, you’ll have more control over the light on each photography. With the S9 you’ll have an F1.5 lens and with the big brother an F2.4 lens that will give you more light to pass through every picture (if you want) improving your images if you have a weak lighting condition. Both devices come with a camera of 12MP, while the front camera count with an 8MP definition. Also, you’ll have the option to create super slow-motion videos. This new mode has a motion detection to find the perfect moment when the slow-motion should happen. You just have to set the app (camera) and wait for the signal. While you have access to the Internet, you’ll have the chance to translate everything automatically. Menus, streets signs, words, etc. The new technology gives you the opportunity to navigate to never feel out of place; you can go anywhere! Just keep your phone with a connection. If you don’t have any clue about what is this, we’ll explain. The technology uses the front camera to create an avatar of the user. Therefore, the app can copy your movements or facial expressions to create your unique character. Sounds fun, right? Theme Designed by InkHive. © 2019 Mac Business Expo. All Rights Reserved.